Garage Door Repair Schaumburg is a reliable service provider of quality gate and garage door repair, replacement, and installation services. We value each one of our customers. Thus, we can guarantee that we will fix your gate or garage door quickly and effectively. Our company has a team of dedicated gate and garage door experts who are able to provide prompt, professional and honest service. Our company believes that entry systems are no longer considered a luxury, but rather an integral part of any home. Thus, we make sure that we leave your home safe and secure after every service we complete. We strive to get your gate and garage door to function as smoothly as possible. Our technicians are highly trained and professional. They can perform their tasks exceptionally well and complete them on time. They are knowledgeable and familiar with all kinds of services pertaining to gates and garage doors. Thus, we can guarantee that we will fix your gate and garage door problems. We offer installation services. We can install gates and doors of all makes and models. 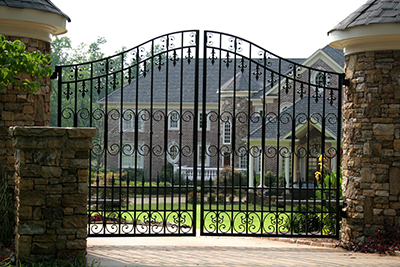 We collaborate with top gate manufacturers to make sure that you get nothing but the best products and services. We can perform and complete installation on time and on budget. We help you decide on the best products to use according to your needs. If you are having issues with a component or a part of your entry system, we can help you deal with this. We perform parts replacement services. We diagnose the issue with your system and replace faulty parts and components. Our technicians are well equipped and stocked with spare parts to make sure that we replace faulty parts of the system right away. Apart from replacement services, we also offer full diagnostic repair services. We diagnose the problem of your entry system first before providing a detailed explanation about the issue and the best possible solutions for the problem. We will help you decide the best option that suits your needs. We can install gate motors as well as access control systems of any brand. We are familiar with the top brands as well as the lesser-known brands in the industry. We help make your entry systems more safe and secure. We provide emergency services. You can call us for help anytime and we will be there to help resolve issues with your entry systems. If you need help with your garage door or gates, contact our experts at Garage Door Repair Schaumburg. We will be there for you whenever you need us. We are committed in providing excellent services. You will get nothing but the best service from us. We strive to meet and exceed your expectations. We service your entry systems at a very reasonable rate.